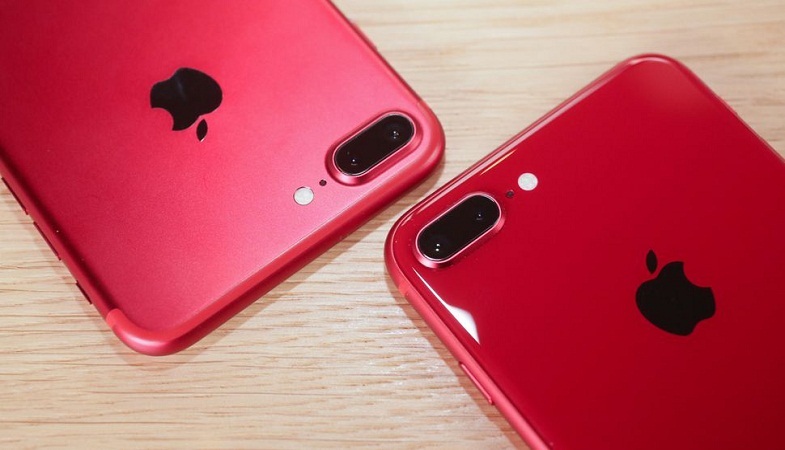 Apple’s new special edition product(s) red iPhone 8 and iPhone 8 plus are all set to be launched on coming Friday, April 13th, bringing freshness to its newest regular iPhones and outshining the flagship iPhone X. This new product stands out even more than the other iPhone 8 colors coming in gold, silver, and space gray. The new red iPhone 8 and iPhone 8 plus devices look quite different from the previously released red iPhone products. The reason being its color which comes in a dark red color, looking more like crimson or blood red. iPhone red 7, which was released last year, had a brighter shade of red. Another reason the new red iPhone looks different from the previous one is that it has a glass back which drastically changes the look. We were lucky to get our hands on the new red iPhone 8 and 8 plus much ahead of the official release date and were able to see if the new special edition products have lived up to Apple’s perfect-product-shot hype or not. Here’s our exclusive take on the new iPhone 8 and 8 plus. If you’ve got your hands on last year’s product red iPhone 7, then you must have noticed it came with a white front bezel. This year, Apple went with the black front bezel for the red iPhone 8 products. Honestly, black front bezel looks much better than the white front because the former color blends in quite well with the LCD screen when it’s off. You’re not likely to get distracted by the white front bezel when you’re watching a movie or a YouTube video on the device. Like the regular iPhone 8 products, the red iPhone 8 has a 4.7-inch screen whereas red iPhone 8 plus comes with a 5.5-inch screen. Apart from the body color, these products are identical to the iPhones that were released seven months ago. 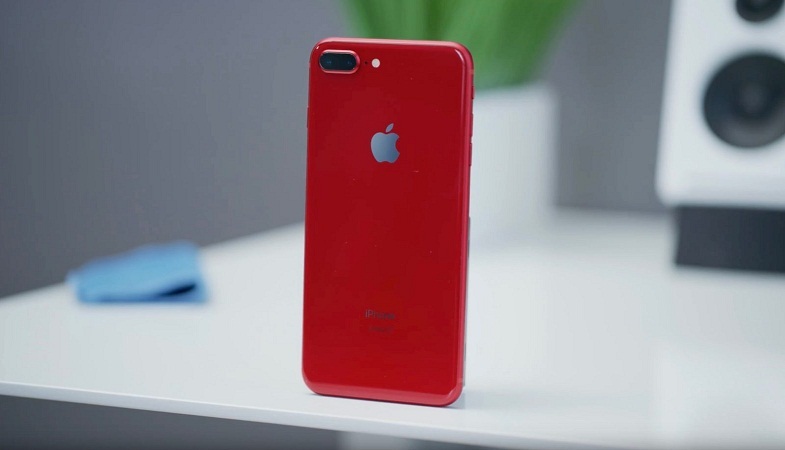 Similar to the other iPhone products, the red iPhone 8 also benefits from Apple’s glass finish back, which uses a seven-layer color process for accurate hue and opacity. Due to this seven-layer color process, we are getting to see a darker color of red compared to the red iPhone 7 which was released last year. iPhones that were released last year were also made of familiar aluminum. One of the major advantages of having a glass back is that it supports wireless charging, a technology that doesn’t support well any other aluminum phone we’ve come across so far. While iPhone X completely removed the home button from the front, you would be delighted to come across it once again with the new red iPhone 8, especially if you were missing it. The home button is also one of the major reasons why people have opted for iPhone 8 and 8 plus instead of iPhone X.
Secondly, this new product is comparatively low-priced than iPhone X, urging people to get their hands on it. We are almost sure home button is never going to come back to an iPhone product, so this may be the last iPhone to come with it. The differences between the smaller iPhone 8 and bigger iPhone 8 plus remain the same even in the red products. Apart from the screen size, there is also a difference between the batteries of the two products – iPhone 8 plus comes with a bigger battery. Speaking of iPhone 8 plus, it comes with a dual-lens camera which is, in fact, the biggest selling point for this product. The second rear camera of the phone acts as a telephoto lens, which can be zoomed in 2x without any distortion. The Portrait mode and the Portrait Lighting modes can only be found in iPhone 8 plus and iPhone X. These modes add blur and other effects to your portrait backgrounds. As already mentioned above, the special edition red iPhone 8 products will be available in the stores starting from Friday, April 13th in the following countries: US, UK, Canada, Australia, France, China, Germany, Japan, Hong Kong, Singapore, New Zealand, and South Korea. 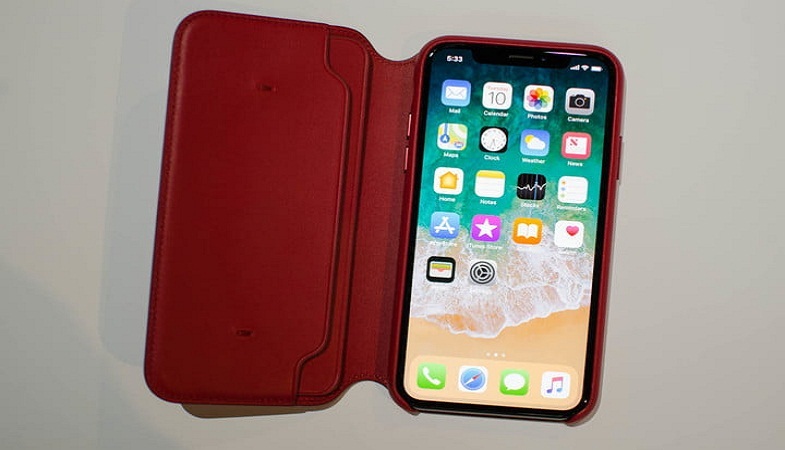 The new red iPhones are going to be launched with their red-colored accessories on the same day. The price of red iPhone 8 and 8 plus is similar to the ones in space gray, gold, and white color; iPhone 8 starts at $699 whereas iPhone 8 Plus starts at $799. For those wondering if there will be red iPhone X then let us tell you that isn’t happening. In case you want to give your iPhone X all the red feels, then you can get your hands on the red leather folio cases which have been made specifically for iPhone X products. 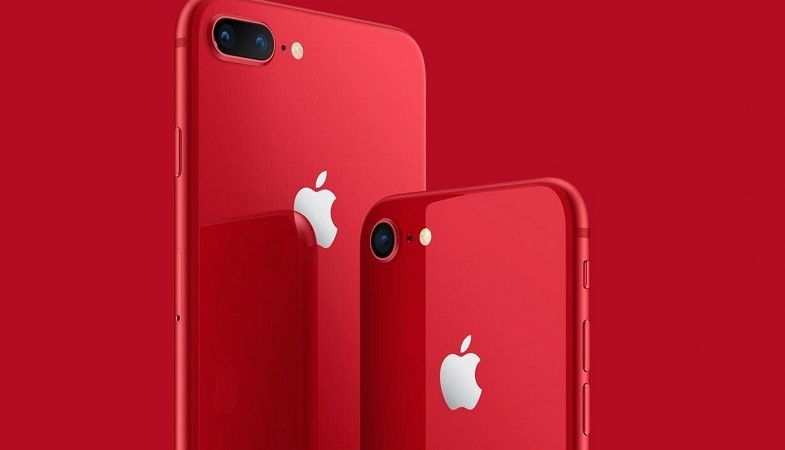 Believe it or not, but with red iPhone 8, Apple has truly won our hearts by declaring that a portion of the proceeds from the sales of red iPhone 8 products will directly go to Global Fund HIV/AIDS. This prominent charity provides grants for testing, counselling, treatment, and prevention programmes with a particular focus on eradicating the transmission of the virus from mothers to their babies. Apple has been regarded as one of Global Fund’s largest corporate donor as it has already donated more than $160 million. 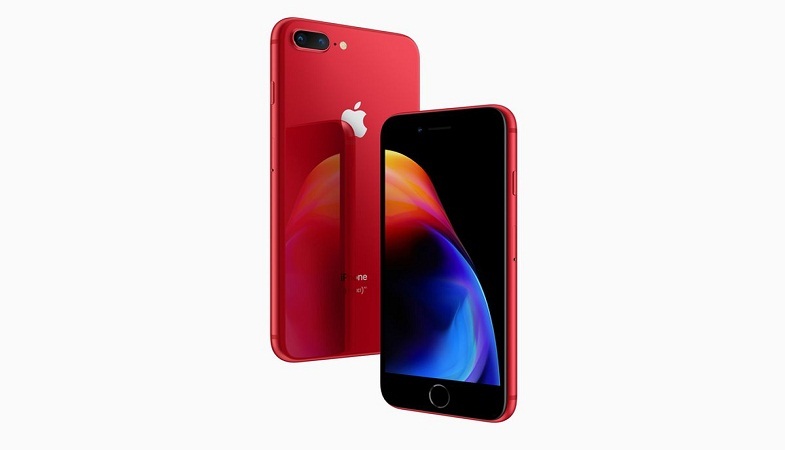 The new red iPhone 8 product will attract those who prefer having their phones in a striking crimson color. In our point of view, the red iPhone 8 looks more attractive and vibrant compared to the ones in other colors.